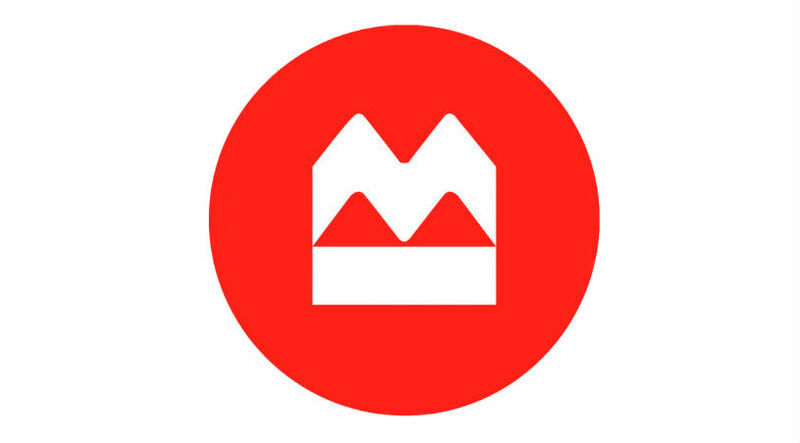 Bank of Montreal (BMO), Canada’s fourth-largest bank, offers 13 different credit cards with a wide range of benefits. Whether your financial priorities are earning cash back, saving points towards travel or a low interest rate, it’s easy to find a card that’s suited to your personal needs and spending habits. 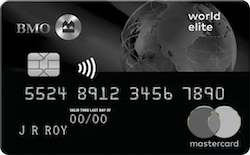 The BMO World Elite MasterCard is one of the best credit cards for travel in Canada. You’ll earn three points per dollar on travel, restaurant and entertainment-related purchases and two points on everything else, which can be redeemed to cover the cost of a flight (on any airline) for your next trip. You can even use your points to cover the cost of flight taxes and surcharges. When booking your flights, you’ll also be able to take advantage of the fact that there are no black out dates. The BMO World Elite MasterCard also provides an excellent range of travel and medical insurance coverage, with no limit on trips per year, as well as $65,000 in rental car insurance (damage and theft) that can help keep you covered during road trips. Cardholders also gain airport lounge access benefits thanks to a free membership to Mastercard Airport Experiences, which opens up the door to over 800 airport lounges across the globe. The icing on the cake: the card’s stacked welcome bonus, which includes 35,000 points ($250 value) that is automatically added to your account when you spend $3,000 in your first 3 months and a first year annual fee waiver. 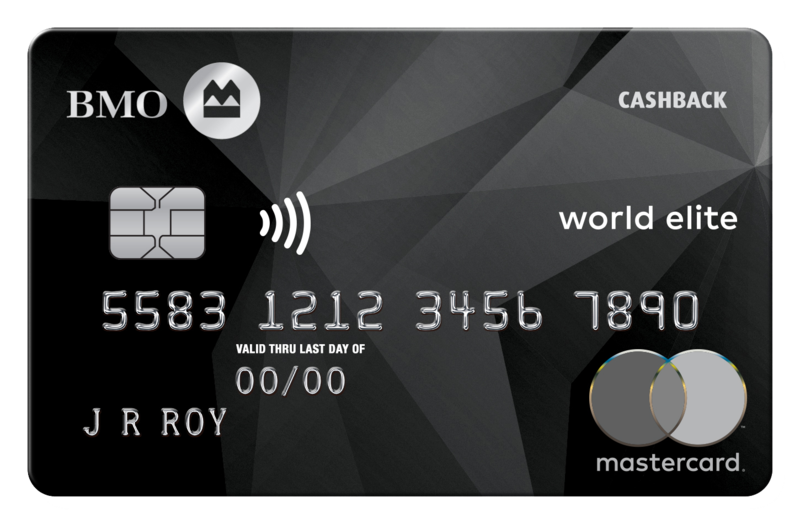 The BMO CashBack World Elite MasterCard is a straight-forward cash back credit card that offers a flat 1.5% rebate on all your everyday purchases. 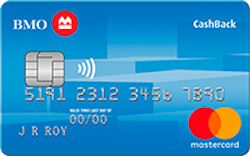 An ideal choice for cardholders who want to earn an even spread of rewards and whose high-spend purchases don’t necessarily fall in line with the usual credit card bonus categories (like groceries and gas), the BMO CashBack World Elite also features a lucrative welcome bonus of 5% back on all purchases for new cardholders in their first 3 months (up to $200). While this card does have an annual fee of $120, it also offers premium perks that include free Roadside Assistance and a number of other benefits usually reserved for travel cardholders, such as a complimentary membership to MasterCard Airport Experiences lounges and travel medical coverage. 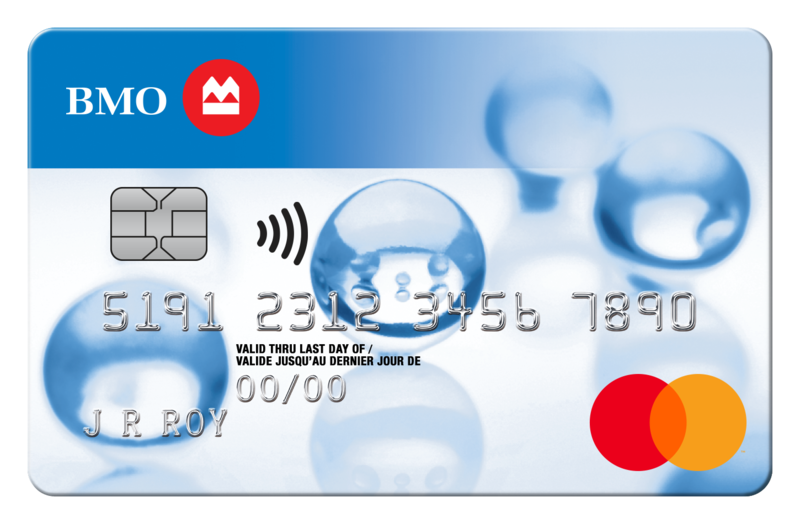 The BMO CashBack MasterCard is a great option if you’re looking for a cash back credit card with no annual fee. You can expect to receive 1% back on all purchases with no limitations. For a limited time, you’ll also have the opportunity to earn over quadruple the cash back during the first three months and earn 5% cash back on all purchases – a hefty welcome offer for a no fee credit card. An additional perk is that you can save up to 25% on your next car rental when renting through National Car Rental or Alamo Rent A Car as well as the 1.99% introductory rate on balance transfers for the first 9 months. 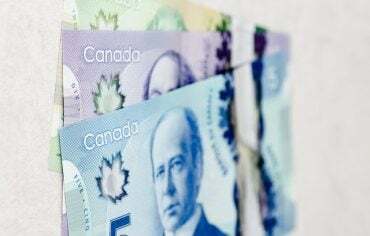 If you’re in search of a no fee card but prefer earning points that you can put towards flight tickets over cash back, the BMO Rewards MasterCard is worth your consideration. 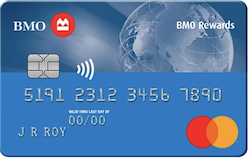 The card offers 1 BMO Rewards point for every $1 you spend. Not to mention, you’ll receive a 20,000 points welcome bonus (approximately $140 value) to help you fast-track and save on your travel plans. Plus, with access to the BMO Rewards Centre, you’ll have the flexibility to book flights on any airline without having to worry about seat restrictions or black out dates. 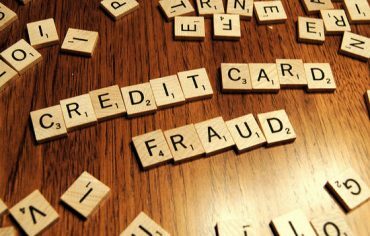 If you’re looking for a low-interest credit card, you may want to consider the BMO Preferred Rate MasterCard. It carries an interest rate of 12.99% and has a minimal $20 annual fee. If you tend to carry a balance month to month, this $20 fee could actually save you money because you’ll have lower monthly interest payments compared to the payments you’d make with other cards with higher rates. You’ll also receive coverage for zero liability, plus extended warranty and purchase protection. This is a great option if you’re looking for a low-interest rate credit card with a low annual fee. An additional perk of this card is the 3.99% promotional rate on transferred balances for the first 9 months. While not necessarily the lowest promotional rate on balance transfers, the rate will only increase to 12.99% after the promotional period ends and not 22.9% like most of the other cards on this list.